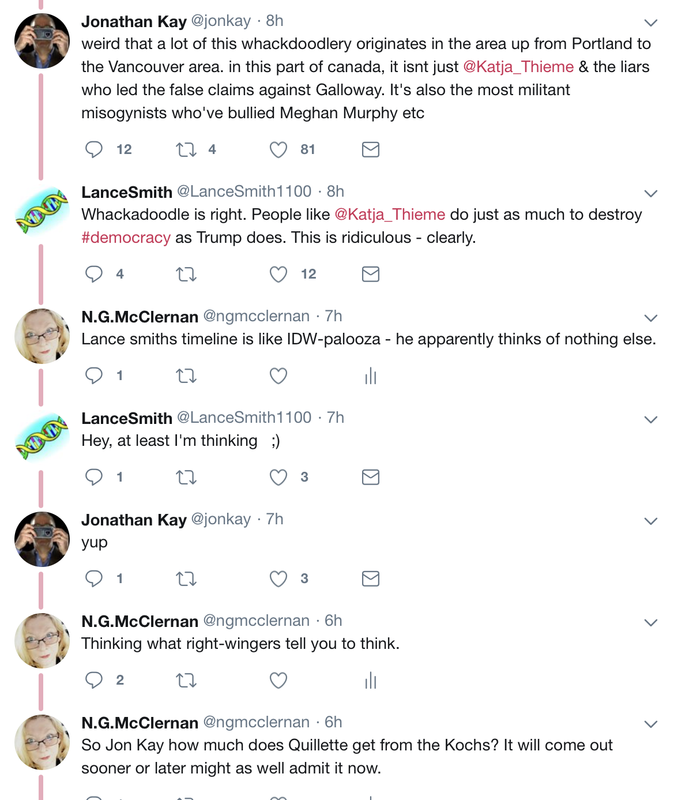 Anybody who has made any effort to learn about Claire Lehmann's career knows her connection to far-right extremist Rebel Media, run by eccentric Justin Trudeau-obsessed Ezra Levant. Her idiotic feminist-hating videos for Rebel Media are legendary in anti-IDW circles. 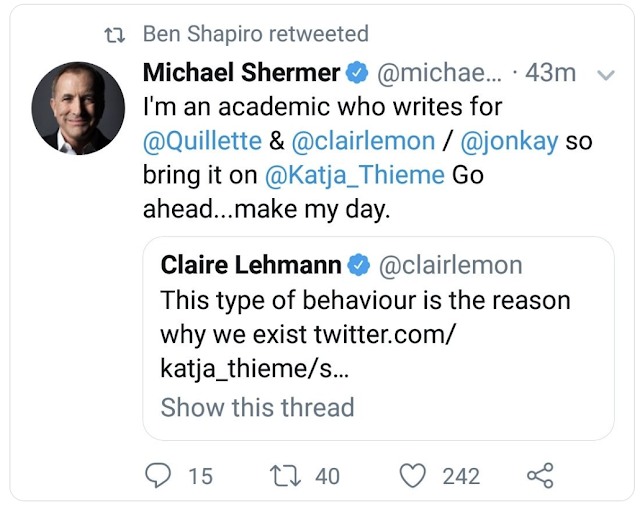 Now it's not like Claire Lehmann has ever disavowed her connection to Rebel Media. She stopped making videos for them but there's every reason to believe she still shares the far-right views that Levant promotes. Ezra Levant has made a career out of using inflammatory language to gain audiences. He is the founder of Rebel Media and he has previously accused Gypsies of being “rapists, drug-dealers, thugs and murderers”. Former contributors on the payroll of Rebel Media have included Tommy Robinson, Lauren Southern, Katie Hopkins and Paul Joseph Watson. They are notorious for their anti-Muslim, anti-refugee and anti-migrant views as well as promoting views of a clash of cultures between the West and the East. Central to Rebel Media’s message is the platforming of far right ideology, many would identify as ‘counter-Jihadi’ and with slants that seek to portray a world view of ‘them and us’ – with Muslims in Europe being viewed as ‘them’. When a Canadian academic tweeted this about Quillette recently, the Quillette gang led by editor Jonathan Kay had a complete meltdown. And I mean a lot of the gang. Free speech grifter Andy Ngo. Naturally contemptible Michael "Steven Pinker squashed a cockroach" Shermer and even more grotesque Ben Shapiro were right there with them. 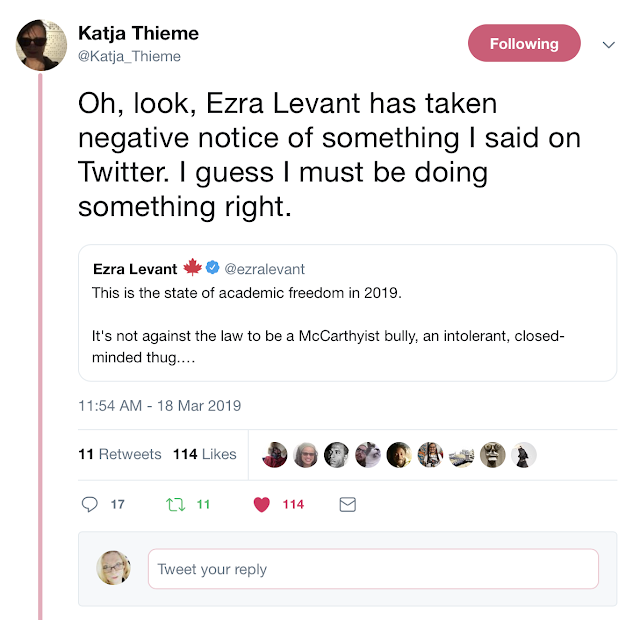 And along comes Ezra Levant. If you want to truly understand who Claire Lehmann, Michael Shermer, Jon Kay, Barbara Kay, Ben Shapiro, Andy Ngo and Steven Pinker are, just look at Ezra Levant. They are a pack of right-wing hate-mongers, almost certainly funded by the Koch brothers and/or other plutocrats, trying to pass themselves off as the voices of reason. Of course I couldn't get Jon Kay to respond when I asked him outright about Koch brothers funding. 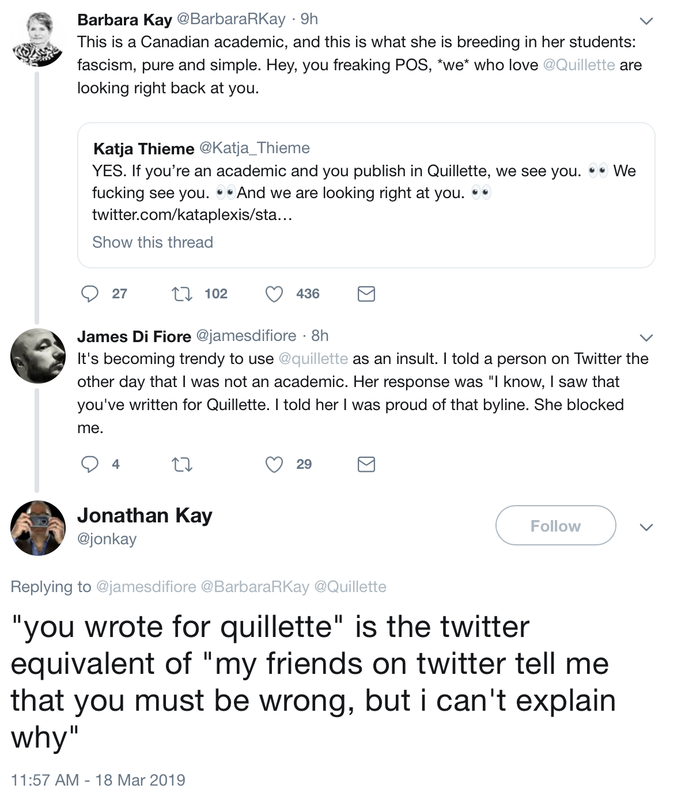 I'm going to see if I can talk Jane Mayer, famous for her New Yorker articles about the Koch brothers, into investigating possible financial connections between the Koch brothers, other plutocrats and the Intellectual Dark Web/Quillette. It appears that there has already been a connection established between the Kochs and Rebel Media. And I mentioned the other day that Spiked Magazine received Koch money. 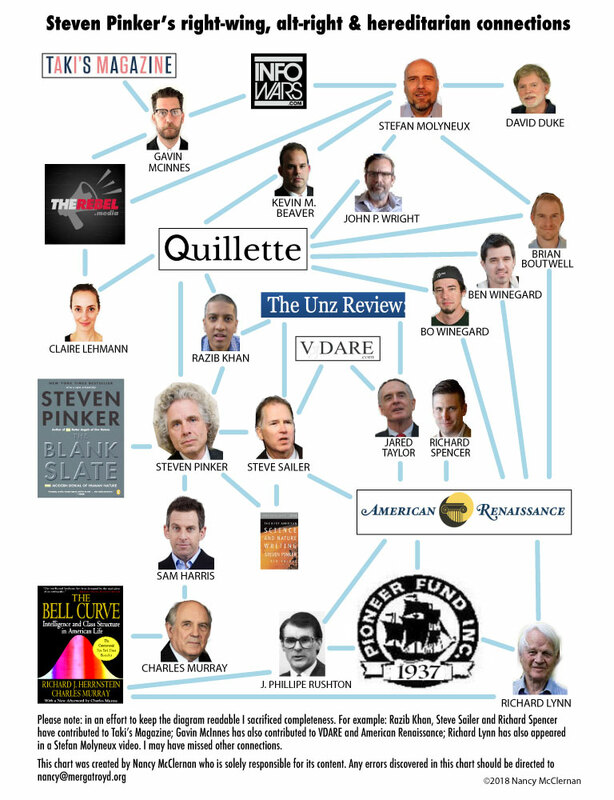 It would be very odd if these ideological twins of Quillette received Koch money and Quillette was left out. Especially since Lehmann made a podcast with the Koch-funded Mercatus Center. I think it's just a matter of time before someone documents a Koch brothers-Quillette connection.